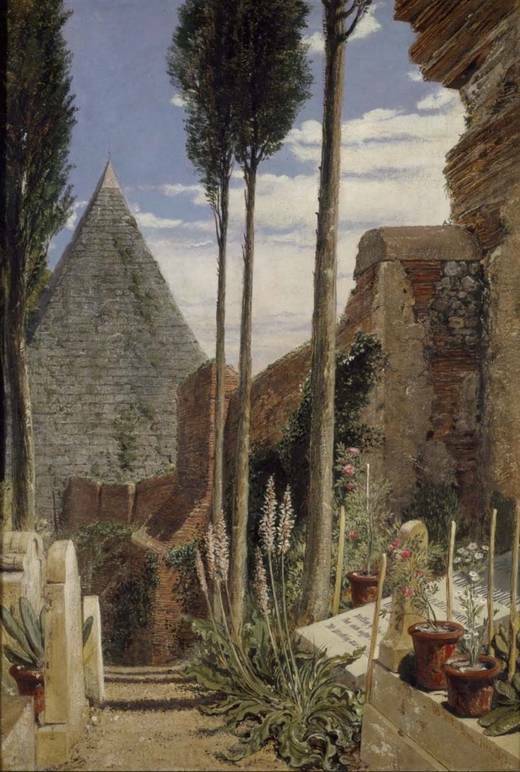 The green and quiet Cimitero Acattolico, which lies next to the ancient Cestia Pyramid, is is beloved of tourists who visit the tombs of the poets Keats and Shelley, and who bask in its romantic atmosphere. This year it celebrates its third centennial. Within the rich Italian cultural heritage this cemetery is unique, but it is also intimately associated with the numerous foreigners who have lived in Rome from the time of the Grand Tour. It occupies a magical corner of Rome's Testaccio quarter, adjacent to the Aurelian Wall. 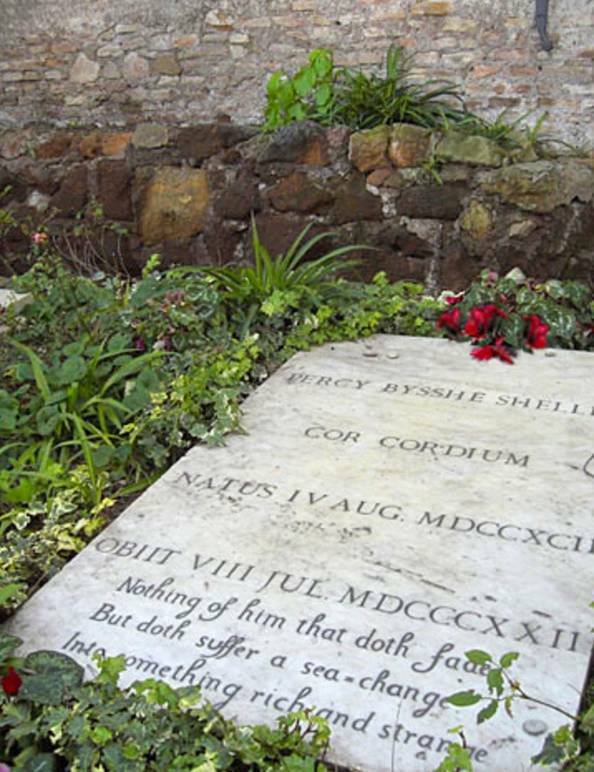 Today's tourists come especially to visit the tombs of the English Romantic poets Percy Bysshe Shelley and John Keats. The other non-Catholic foreigners of all countries include many Americans from the Victorian era as well as some Italians, such as the father of Italian communism, Antonio Gramsci (1891 - 1937). The sole son of the German poet Goethe is buried here as is the celebrated Russian artist Karl Brullov (1799 - 1852), whose monumental painting of the eruption of Mount Vesuvius in 79 AD inspired author Edward Bulwer-Lytton to write The Last Days of Pompeii, which in turn inspired movie versions beginning in the early 1900s. 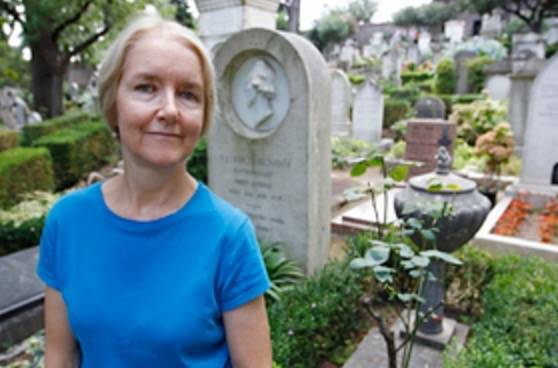 Today's cemetery director is Amanda Thursfield, who first arrived in 1979 in Bologna, to study, and later launched the British Council there. " I returned to the United Kingdom for my undergraduate degree, then headed back to Italy in 1979, and the University of Bologna," she says. After 1985, she handled cultural diplomacy and information for the British Council in Rome for a decade. "One day, working in Rome, I saw an ad calling for applicants for the post of cemetery director. Never imagining that I would be chosen, I applied anyway and, to my surprise, won. I'd always loved the cemetery," she said in an interview, "from the time I was a student of art history." Taking over cemetery direction, she found the cemetery in critical condition. Because of a lack of funds, the cemetery had been listed in 2006 as one of the 100 heritage sites most at risk in the entire world. 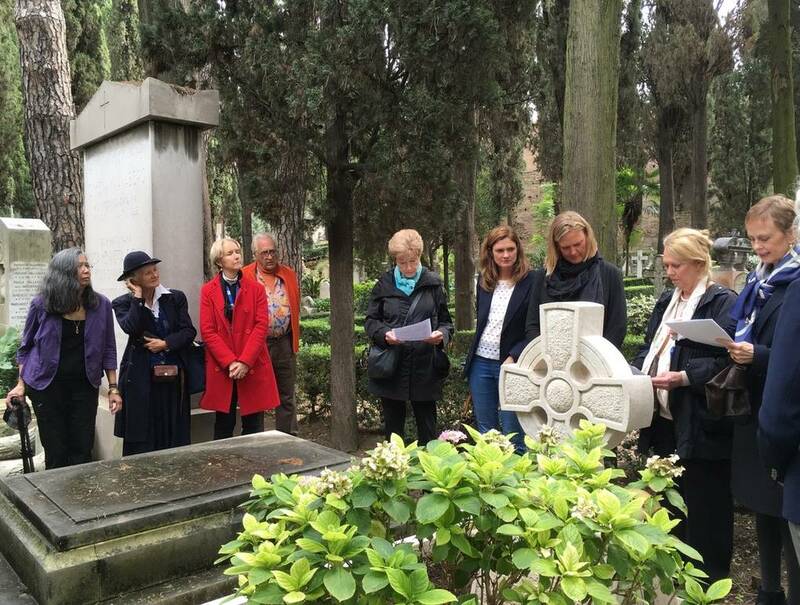 To save the cemetery, the UN's International Centre for the Study of the Preservation and Restoration of Cultural Property (ICCROM), based in Rome since 1959, provided crucial technical advice on preservation and cemetery management. ICCROM's then director-general Nicholas Stanley-Price, noted expert on conservation worldwide of archaeological sites, worked with the cemetery authorities from that point on. Today, after that difficult period the situation is drastically improved, says Thursfield. As cemetery director since 2008, she works with a small staff and numerous volunteers. "Our volunteers come from many different nations, and are young people as well as retirees. I am gratified to know that so many people love it here. Many visitors come just because they want a moment of peace, quiet and beauty -- a place to sit under a tree, unhurried, to contemplate." This was not the cemetery's first crisis. When Italian unification was complete in 1870, and Rome became the capital, newcomers were pouring into Rome, and the Testaccio quarter had been singled out to become Rome's industrial sector. The cemetery itself was at risk. "Fortunately, thanks to interventions by foreign diplomats, the cemetery was saved, and a main road that would have crossed right through the oldest section was moved elsewhere," Stanley-Price said in an interview with the magazine Archeostorie. (See: >>>). Among the volunteers are members of Pax Romana, the Italian branch of the Daughters of the American Revolution, who arranged for the restoration of a 19th Century American woman's tomb. 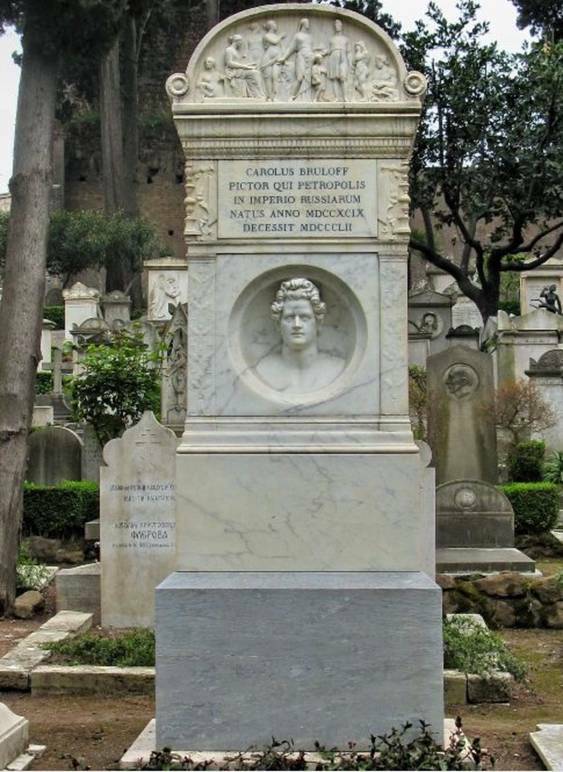 Rome-based culptor Peter Rockwell contributed his work to the restoration of the stone grave marker. On May 27, 2016, the chapter marked the graves and restored the tombstone of DAR members Virginia Taylor Smoot (1865 - 1949) and her daughter Katherine Smoot Tuccimei (1886 - 1978). And on October 14, 2016, the graves of two other members, Annie Sampson Woodruff (1855 - 1933) and her daughter Elizabeth Sampson Woodruff (1885 - 1971) were similarly restored and marked in a ceremony in the cemetery chapel.